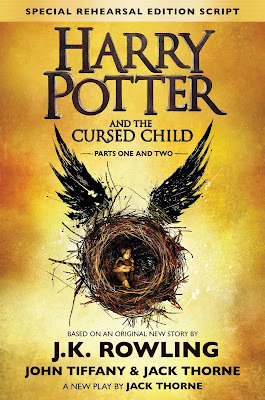 Considering that J.K. Rowling dropped the last Harry Potter book on July 31st, was there any real suspense as to what I was reading in August? Of course, it's Harry Potter and the Cursed Child. I'm not ashamed to admit that I was pretty much giddy when I received this book from Amazon (I pre-ordered, of course). I also felt a little torn though. 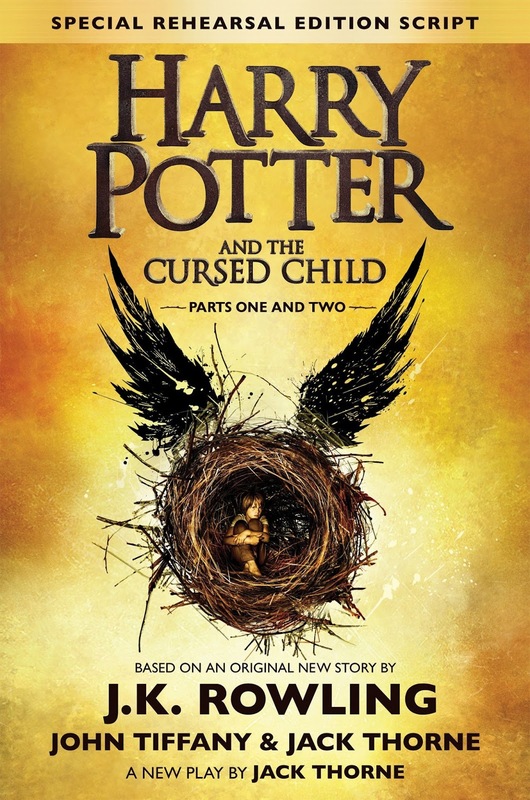 I couldn't wait to read the book, but at the same time I didn't want to start it because it's probably the last time Rowling will write about these characters. However, what I WAS certain about was that I wanted to read it uninterrupted, so my reading was delayed until my trip to Seattle last week when I was trapped on a plane for four hours. Due to this delay, I had heard about some of the reviews. While I didn't know any of the plot points, I got the overall impression that the book was kind of meh. So, I was kind of surprised that I liked it as much as I did. Sure, part of that might just be because I love Harry Potter and liked being in that world again for a bit, but I also understood that the book was written as a play, not a novel. A lot of the wonderful details Rowling puts into her novels weren't going to be in the play, since it was created to be seen and not read. Keeping that in mind, I didn't feel let down by the lack of description. I also knew before reading that this book picked up where the last book finished - with Harry and the gang as adults with their own kids going off to Hogwarts. If you were expecting a continuation of Harry as a teenager, you would be disappointed. While I would love to see this as a play, I don't know if it's coming over to the States anytime soon. However, I did read that it might be made into a movie...with Daniel Radcliffe as the older Harry. We can only hope! Wow - July pretty much flew by, huh? As anyone who knows me already knows, my Julys are spent watching skinny men in spandex cycle around France, which doesn't allow for a lot of reading, however, I did knock out one book - and man, was it good. 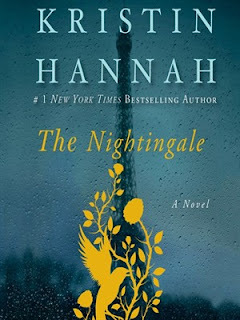 So without further ado, here is July's book: The Nightingale by Kristin Hannah. To be honest, though I had heard good things about this book, I really didn't have a huge desire to read it. My book group went through a WWII phase last year and this is the time period in which The Nightingale is set. I'm just a little WWIIed out. But I put it on hold a few months ago (yes, months - it's a very popular book), and it finally arrived so I ran down to my library and checked it out. I think I read it in two days. It was that good. It's the story of two sisters, Vianne and Isabelle, who live through the German occupation of France during World War II. Separated by a 10 years age-wise, older sister Vianne is married, and lives with her husband and daughter in a small countryside village when the war breaks out, while rebellous 18-year old Isabelle lives in Paris with their father. As the situation in France becomes more and more desperate, each sister takes her own path to survival. This book as a lot going on: war, romance, betrayal, espionage, heartbreak and murder. I rarely give books five stars, but this one deserves it. The writing, while good, isn't spectacular, and the love story was a little unbelievable for me (due to logistics of the time period), however, Hannah can really tell a story and that's how I judge a book. Yes, I like fully-developed characters and descriptive scenery, but if the plot doesn't move forward, then I just get bored. As I said- I read this book in two days. It's been a while since I read a book that captured my interest that much. And yes, you will cry. So, go down and reserve this book at the library but be willing to wait a while. The waiting list was pretty long when I was on it. But the wait is worth it. Moving on to August and what I'm reading next! I'm so excited because the new Harry Potter was released and I'm totally geeking out! This is going to sound insane, but even though I'm really excited to read it, I haven't started it yet. I kind of want to savor the moment that I have the book, and put off reading it until I have an afternoon that I can fully commit to devouring it in one sitting. Is anyone else like that? I want to read it, but I also don't want it to end. So if I don't read it- it will never end!! Sigh. I'm also geeking out about "The Austen Project" which takes Jane Austen's novels and has them retold by modern authors. I picked up "Emma" by Alexander McCall Smith and "Sense & Sensibility" by Joanna Trollope today from the library. I'll let you know how I like them.